As host to this year’s G7 Summit in Charlevoix, QC, Canada praised the significant progress made by all G7 nations in raising levels of education, offering a wide range of education and training opportunities, and closing gaps in access to learning among under-represented groups. Here in Canada, the extensive network of colleges and institutes has played an essential role in this progress and in preparing citizens to succeed in the jobs of today and tomorrow. With this in mind, CICan – as the voice of Canada’s publicly-supported colleges, institutes, cegeps and polytechnics – was pleased to submit its recommendations for the federal government’s Budget 2019 to the House of Commons Standing Committee on Finance (FINA). Focusing on innovation, providing students with hands-on learning opportunities, making education more accessible to all, including Indigenous people, and encouraging student mobility are all key priorities for colleges and institutes across the country. Recommendation: Amplify the impact of college and institutes applied research offices in the innovation ecosystem with a new annual investment of $40M in research support funding. Recommendation: Prepare youth for the jobs of tomorrow by expanding federal investments in work-integrated learning. Recommendation: Improve labour-market outcomes of Indigenous peoples and support economic development in Indigenous communities through increased financial support for learners, tailored programs and wraparound supports. Recommendation: Develop a national skills and lifelong learning strategy for working Canadians and employers to deal with disruption and capitalize on new opportunities. Recommendation: Ensure Canada’s global competitiveness by increasing opportunities for student mobility, both domestic and international. 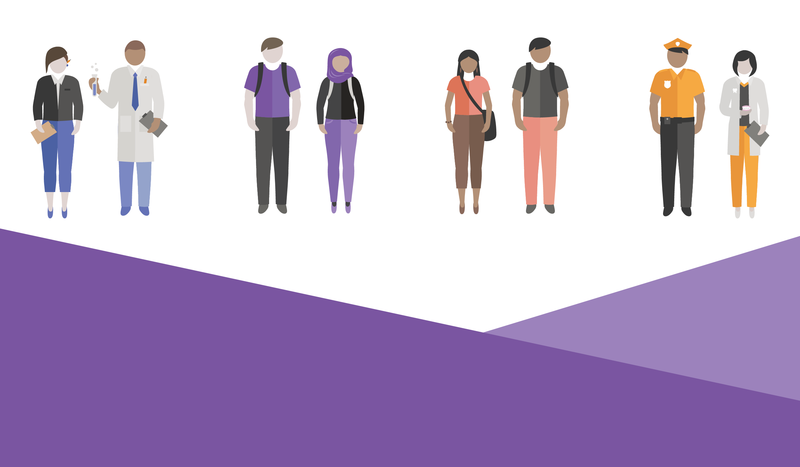 CICan’s recommendations focus on maximizing the contribution of colleges and institutes in addressing Canadians’ skills development needs and building a more inclusive innovation system to drive economic growth and increase competitiveness. To read more about each recommendation, download the full submission here. CICan and its members look forward to working with all Canadians to achieve these goals. Join the Prime Ministers’ Youth Council! Prime Minister Justin Trudeau has launched a new campaign to invite young people from across the country to apply to join the Prime Minister’s Youth Council, a group of young Canadians who provide non-partisan advice to the Prime Minister and the Government of Canada on issues of importance to young people and to all Canadians! Meeting both online and in person several times a year, the Youth Council provides Canadians aged 16-24 the opportunity to demonstrate their leadership in discussing issues that matter to their peers, their communities, and their country, to engage with local and national organizations and to have their voices heard by policy makers. The Council has launched a new call for passionate young people to get involved – don’t miss this opportunity! The deadline for applications is November 30, 2018. Click here for more information and to submit your application now! CICan is pleased to be hosting exciting upcoming events in Ottawa for college and institute leaders! The CICan Leaders Forum for college and institute presidents and CEOs will take place from November 5-6 and will engage leaders on policy priorities related to building a more inclusive and innovative Canada. Confirmed presentations include: Essential Skills for the Future by Senator Diane Bellemare and Future of Skills and the Changing Nature of Work by the Honourable Patty Hajdu, Minister of Employment, Workforce Development and Labour and John Stackhouse, Senior Vice-President at RBC. Presentations and roundtable discussions will also address topics such as: International Perspectives on the Future of Colleges and Institutes; Addressing Mental Health Needs at PSE Institutions; Indigenous Education and Reconciliation; The Role of PSE Institutions in meeting the needs for Reskilling and Upskilling; Equity, Diversity and Inclusion; and Entrepreneurship Development. This year, the Forum will be held in parallel with the CICan Symposium: Accelerating Innovation through Applied Research, which will bring together federal policy makers, leaders in applied research, students, community and industry partners to discuss how to support Canadian innovators, foster entrepreneurship, and advance innovation. Participants of both events are also invited to attend the Student Innovation Showcase on the Hill on November 5, from 5 p.m. to 8 p.m., which will showcase the applied research projects of skilled and creative college and institute students. A call for proposals for the Student Innovation Showcase will be issued soon. All events will provide an opportunity to engage with parliamentarians and senior federal officials to share advocacy priorities. To read more and to register, visit our Events section. Submit your Digital Tech internship now! CICan is pleased to announce that submissions for the new Digital Tech Internship program are now open! The new two-year initiative, offered in partnership with the Government of Canada, will allow 440 underemployed recent graduates to connect with local employers and gain hands-on work experience. Funded by Innovation, Science and Economic Development Canada (ISED)’s Digital Skills for Youth program as part of the Government of Canada’s Youth Employment Strategy, The Digital Tech Internship program will provide up to $15,000 to small businesses and not-for-profit organizations to hire an intern. Of that amount, up to $3,000 can be used for specialized training or professional development. The new internships will be offered through CICan’s successful Career-Launcher Internship program, which has already helped place over 550 interns with local employers in the clean technology and natural resources sectors. The Government of Canada is currently seeking applicants for various positions to be appointed by the Governor-in-Council (GIC) – the Governor General acting on the advice of Cabinet. Individuals appointed by the GIC play an important role in Canada’s democracy by serving on commissions, boards, Crown corporations, agencies, and tribunals across the country. To maintain public confidence in government decision-making, the Government of Canada is committed to filling GIC positions with highly qualified candidates who reflect Canada’s diversity, including women, Indigenous peoples, persons with disabilities, members of visible minority groups, and speakers of both official languages. Given the essential role that colleges and institutes play in Canada’s innovation ecosystem, CICan encourages candidates from within its membership to apply. To view all appointment opportunities, click here. Innovation, Science and Economic Development Canada (ISED) is pleased to launch a new online portal designed to match businesses with the right programs and services to help them succeed. The Innovation Canada Digital Platform allows entrepreneurs to tell their story, and – with an AI-enhanced algorithm – provides results tailored to each entrepreneur’s specific needs. Whether entrepreneurs need help sourcing and understanding government like funding, tax credits, and wage subsidies, or help finding collaborators and expert advice, the new portal brings together everything the government has to offer Canadian entrepreneurs in one place, and tailored to their size, stage of development, and goals. The portal provides everything businesses need to take advantage of the programs they need to grow and strengthen Canada’s economy. Check it out here! Did you know that CICan recently had the pleasure of having one of the winners of CICan’s 2018 Art Showcase visit our offices? CICan’s Art Showcase awards prizes in five categories to college and institute students from across the country. The winner in each category receives a prize of $350 and has their artwork displayed at CICan’s offices in Ottawa! This summer, Camille Lamoureux, a student from the Cégep Marie-Victorin who won in the painting category, visited us to see her painting, 43 rue Bernard Est, Mtl. Qc., on display – thanks for coming! See all this year’s winners here. The call for submissions for the 2019 Art Showcase will be launched in the coming months. Quebec’s Higher Education Council was pleased to announce the appointment of 12 new members of the Ministers Council, including four appointees from cegeps across the province. Mme Malika Habel, Director General of the Collège de Maisonneuve; Mr Gordon Brown, Director of Studies at the Cégep John-Abbott College; and Mr Sébastien Piché, Assistant Director of Studies at the Cégep regional de Lanaudière will serve on the council for a mandate of four years. Mr Michaël Hétu, a French teacher from the Cégep André-Laurendeau will serve on the council for a mandate of three years. Loyalist College was pleased to appoint a new Senior Vice-President, Corporate Services & CFO. Megan Sheppard will take over the role effective September 11. Sheppard previous served as Associate Vice-Principal, Planning & Budgeting at Queen’s University. Both Fanshawe College and Olds College welcomed new Deans. Effective August 27, Fanshawe College was pleased to welcome Mary Pierce as Dean, Faculty of Business; while Olds College welcomed James Benkie into the role of Dean, Program Development, Agriculture Technology. Finally, University of the Fraser Valley (UFV) welcomed Jacqueline Toering as Director of Risk and Safety, a newly created position at UFV. Take the Imagine the Future online quiz to share your thoughts on CICan’s new Strategic Plan.